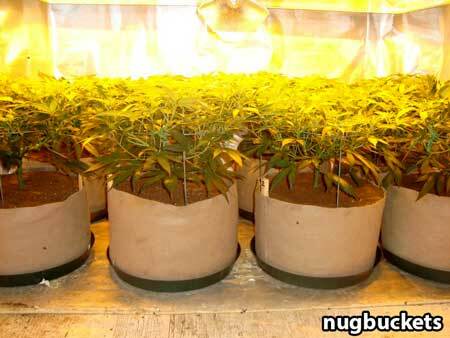 How do I control how marijuana grows during the vegetative stage? 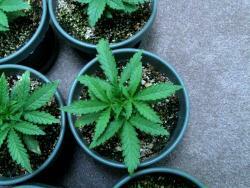 You may be wondering how to control how your marijuana plant grows during the vegetative stage. Here’s your complete guide. I’ve collected the best marijuana growth control methods for the vegetative stage, and compiled them here for you. If your marijuana plant has no problems or illnesses, than light is the biggest factor that affects your how quickly your plant growis during the Vegetative Stage. After choosing your strain and starting your grow, one of the first things you want to do is ensure that the plant is getting enough light. For example, the marijuana seedlings pictured below is getting way too tall as it attempts to find a stronger source of light. This is not usually a good thing, because tall lanky plants are hard to give proper light coverage. During the flowering stage, light intensity is what drives the production of buds. For the best results, you want all your buds directly exposed to strong light. This seems to cause them to swell up much more than when the buds are hidden from the light. 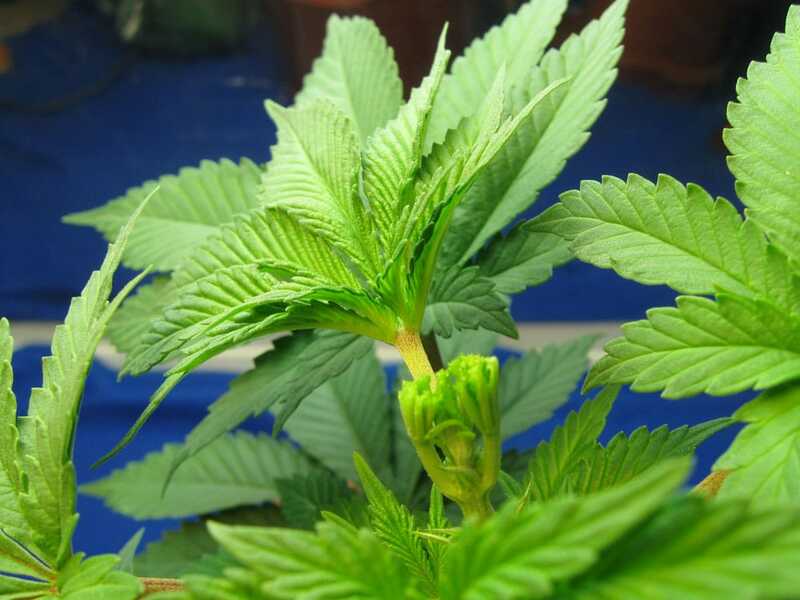 The rest of this article is going to cover all the different ways to get your plants to grow in a way that makes it easy to expose all the buds evenly to intense light. If you believe your plant may need more light on the sides, you can cheaply supplement the amount of light to the plant buy purchasing some cheap ‘Soft White’ (2700k) or ‘Cool White’ (6500k) colored CFLs (compact florescent light bulbs) from your local hardware store and using them to fill in any shadowed areas on your plant. When your marijuana roots don’t have room to expand, it will tend to keep your marijuana smaller. 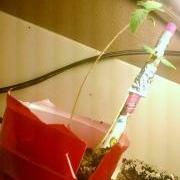 I have grown marijuana from start to finish in a Solo Cup, and the plant stayed very small, under a foot. Smaller pots keep plants smaller. Some people worry about their marijuana getting root-bound, but that will likely only happen if you try to keep the plant alive for too long. For example, if you’re going to keep a plant in the vegetative stage for years, then you’ll definitely need a bigger pot. But if you’re growing a marijuana plant plan to harvest it within a few months, then it’s unlikely your plant will be affected by being root bound. 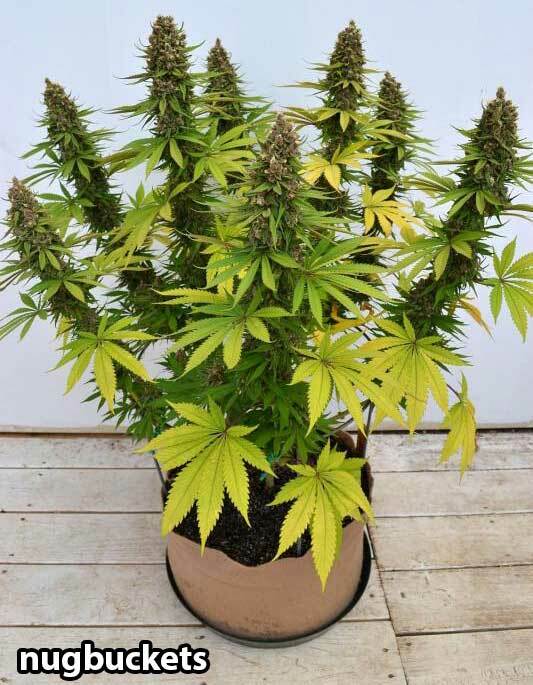 Even if you get a one gallon pot or smaller, when you get your marijuana to start flowering within a few months after the beginning of the vegetative stage, it will never have the time to get really root-bound. For example, I have grown several plants from seed to harvest in a solo cup container. The plants are fine even when spending their whole life in this small container, the biggest problem is just that the solo cups tend to tip over. Because of easy tipping, I recommend weighting the bottom of solo cups if you use them, or upgrading to one-gallon containers. 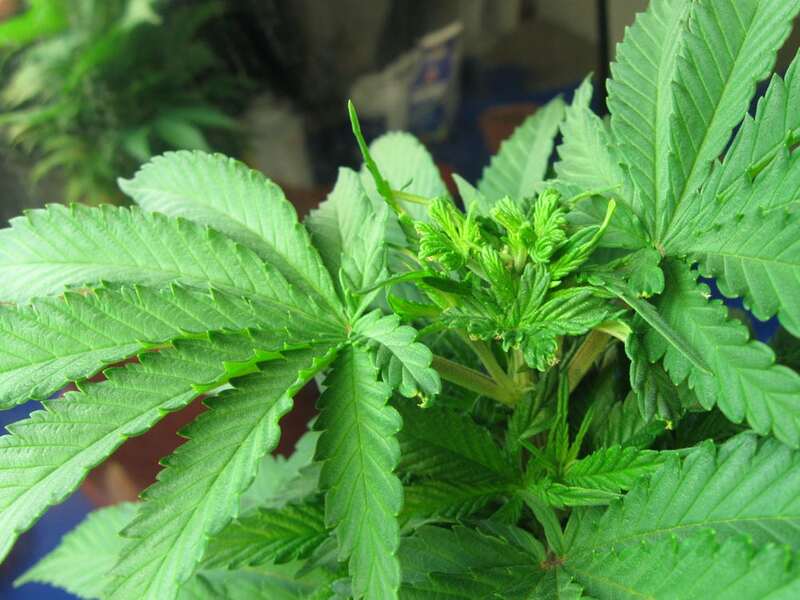 The downside… When your marijuana is kept in a smaller container, you will notice that you have to water your plant much more often than if you kept your marijuana plant in a big container. 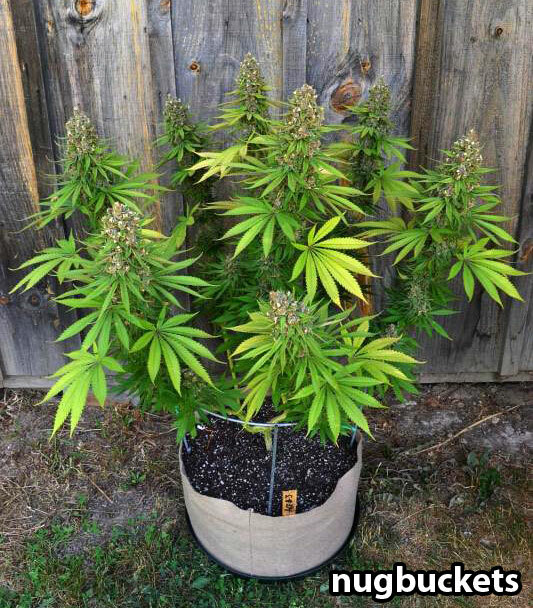 As long as you’re vigilent and water your girls often enough, then keeping your plants in a small pot is another simple, easy way to control the total size of your plant. Keeping plants in tiny containers is especially important when growing in a very space-limited grow space, such as growing in a computer case for stealth reasons. 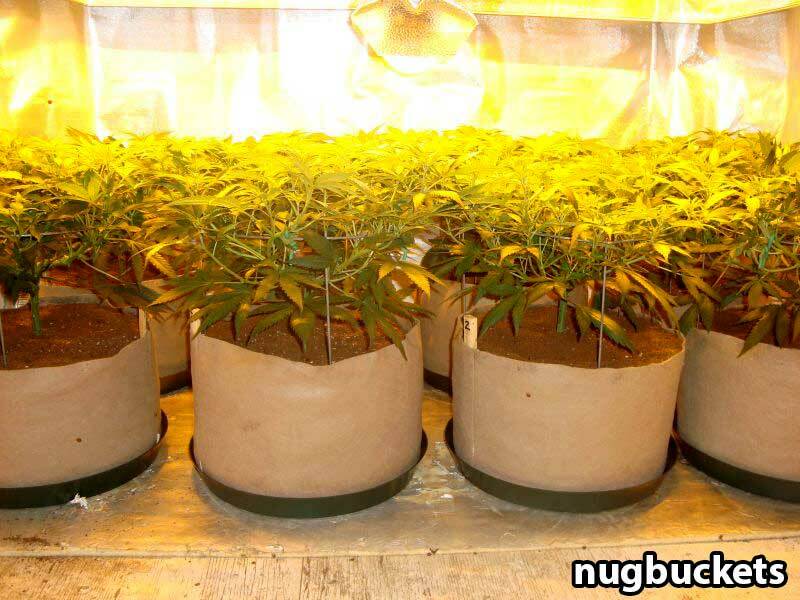 However, there are even more powerful growth control techniques explained below that allow you to grow big high-producing plants, but keep them nearly as short as if you restricted their growth with a small container. Therefore I encourage you to read about all the other growth control techniques before making a decision about what do to with your plants. vibrant and healthy. 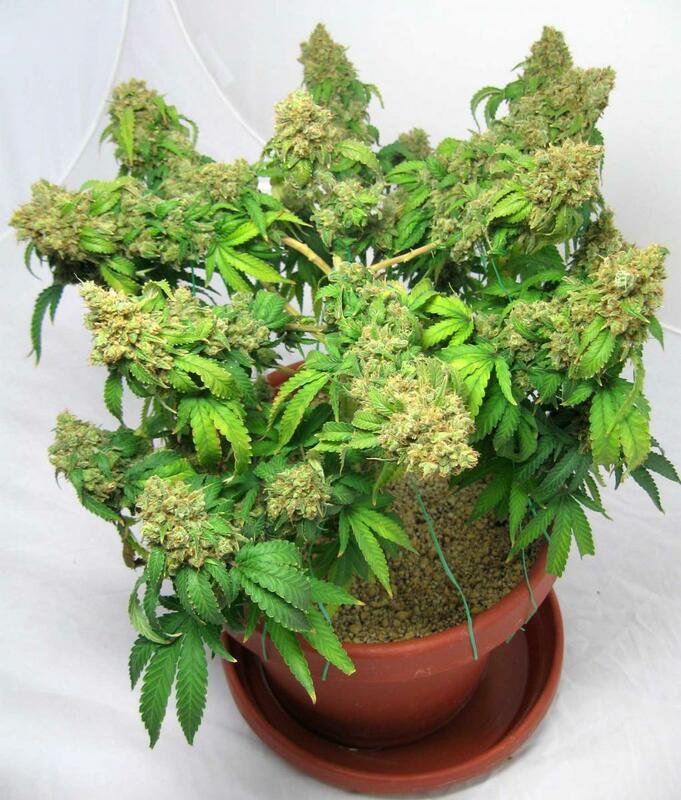 Never defoliate an unhealthy or sickly plant! Defoliation has two purposes, one for the vegetative stage, and one for the flowering stage. 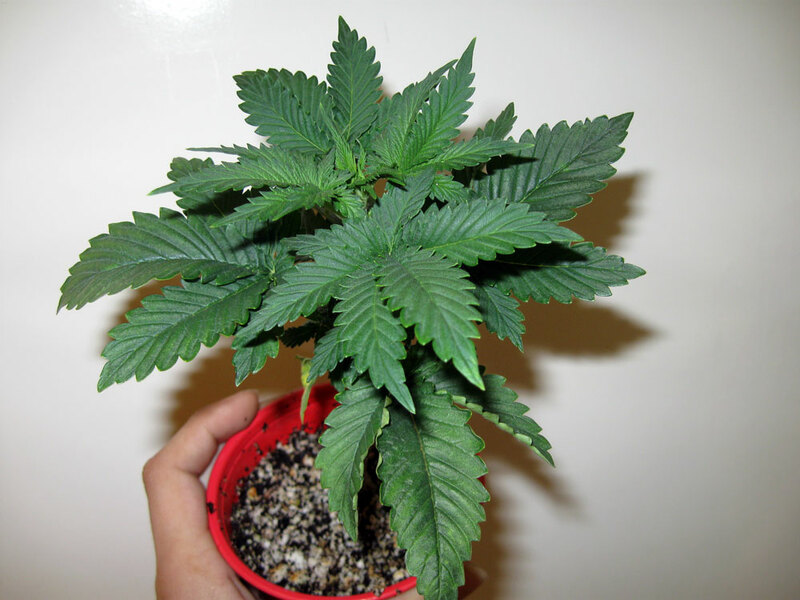 Vegetative Stage: When you remove leaves from your marijuana plant, you are taking away energy it put into vegetative growth. This will cause your marijuana to slow down growing, especially if you remove a lot of leaves. In the vegetative stage it is used to control the growth and structure of your plant. Bascially leaves removed from any “branch” during the vegetative stage causes that branch to grow more slowly. 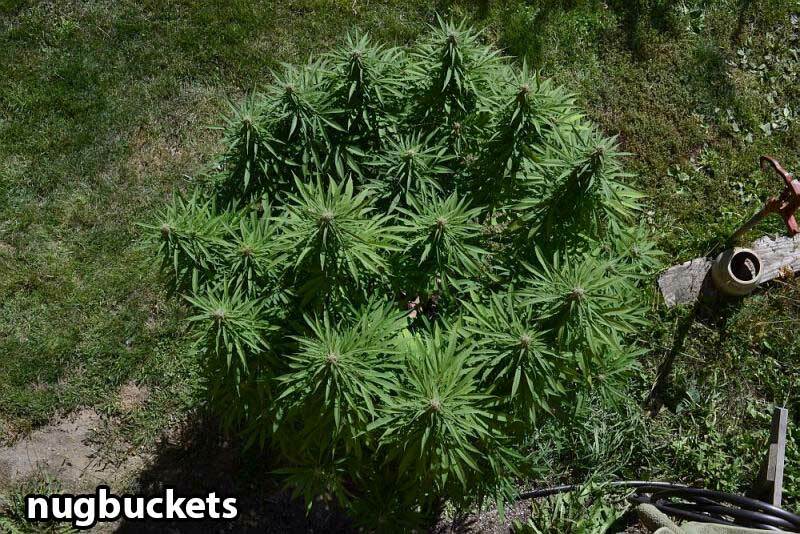 When combined with other marijuana growth control techniques in the vegetative stage, you can grow plants that don’t have the signature ‘Christmas Tree’ shape. 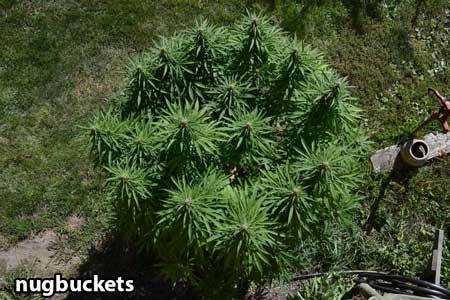 A Christmas tree shaped marijuana plant is tough to cover properly with indoor grow lights, since the buds at the top get all the light and the buds at the bottom are left in the dark. Defoliation of fan leaves allows you to control the height of colas, so you get more of a flat “bed” of growth that’s evenly covered by your grow lights. Removing leaves can be a bad thing if you want your plant to be growing upward as fast as possible because it will definitely slow down the growth of the plant for a little while. However, most small-scale growers would rather have a well-managed short plant than a tall, unruly plant even if it ends up needing a bit of extra time during the vegetative stage to recover from the defoliation. Pulling leaves also seems to cause the plant to grow much wide and bushy in general. 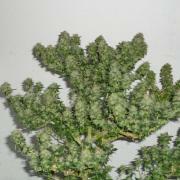 Flowering Stage: In this stage, there is a much more controversial use of defoliation. Learn more here. 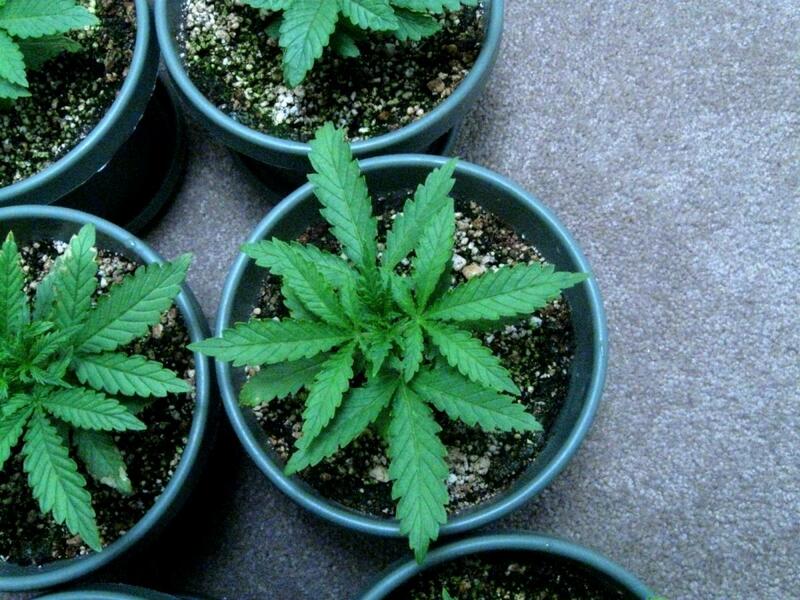 This technique is considered a “low stress” way to control your marijuana plants. Unlike the more aggressive methods listed below, low stress training such as bending, tying down, and supercropping do not involve cutting your plant. Instead, the ideas is to actually ‘bend’ and otherwise gently manipulate the plant to control growth so it grows how you want. For most growers, the goal is for flat, horizontal rows of buds, instead of the natural “Christmas Tree” shape. 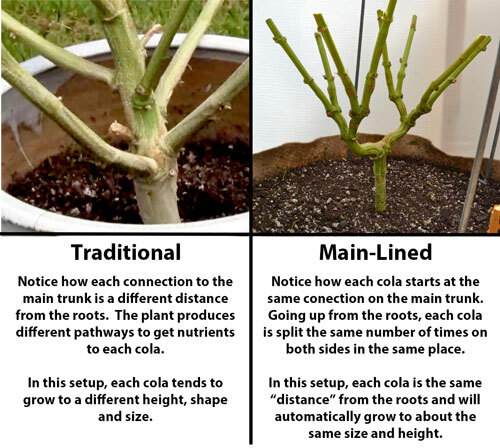 The main way to control this is to bend over any colas or “branches” that are taller than the rest and keeping them in place tying them to something or using weights. I highly recommend getting a spool of twisty tie (soft, bendable wire) to tie your plants down with. This can be tied to weights, to the pots your plants are in, your hydroponics bucket, or most anything. It’s wire, so it can be easily hooked around branches without having to tie anything and get your hands in the plant. Some also gently bend flexible branches until they snap slightly or crush the bent part between their fingers to cause slight damage to the bent point. This technique is known as super cropping. doesn’t even need tape. Use tape if you go a little overboard. Manipulating your plant with bending or super cropping causes the entire plant to naturally grow more bushy, while you’re also controlling the parts of the plant that aren’t growing the way you want. 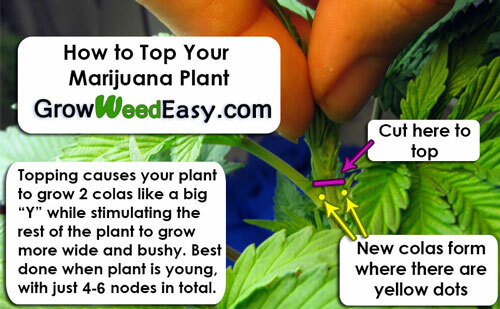 Basically you’re training the plant to grow into the shape you desire, like a marijuana bonsai tree. You train the plant slowly and take care not to hurt you plant. You don’t want to snap any of the branches, and never try to bend stiff branches or they’ll just break off. 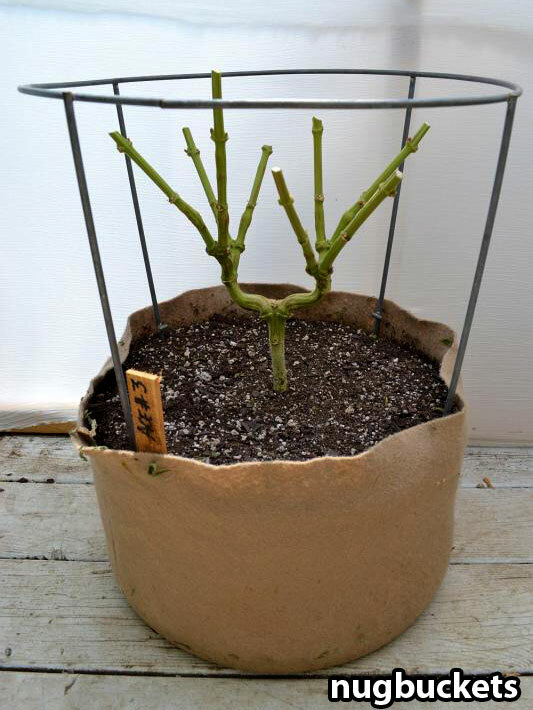 By using this method alone, you can grow a plant that conforms to any shape that you want. If I am growing two strains of marijuana, and one tends to be taller than the other, I’ll bend over the taller one as much as 90 degrees so that it is the same height as the shorter plant. 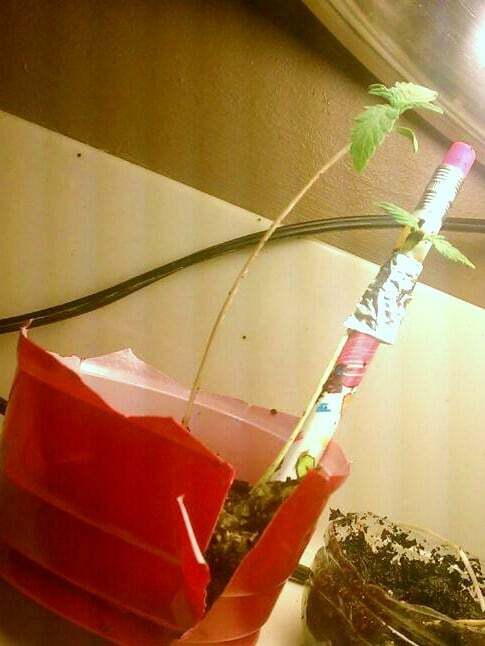 I also bend the tallest branches down, crush the ‘joint’ between my fingers, and tie the branch down to the pot she’s growing with (or to fishing weights on the floor, or anything else you can use as an anchor). 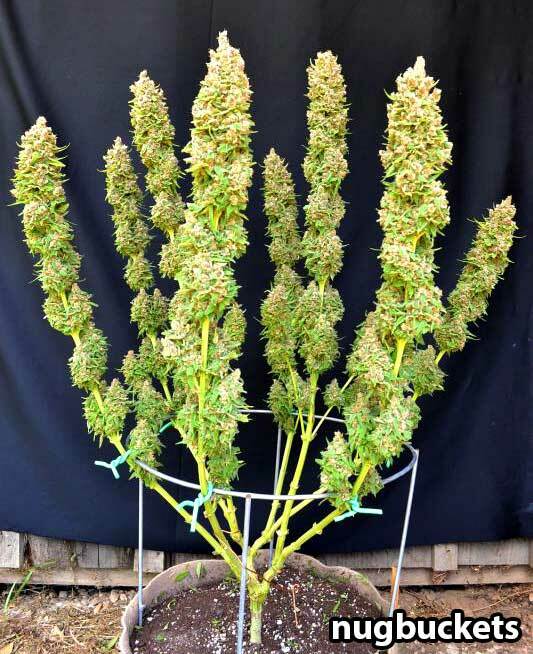 Most growers want to avoid the Xmas Tree shape because it’s hard to get light coverage and instead encourage a plant to grow with more of a flat plane of buds. This allows a more even distribution of light and the the whole stem of the bend plant will get equal access to the light. Eventually all the buds on a bent branch will start growing upward toward the light. 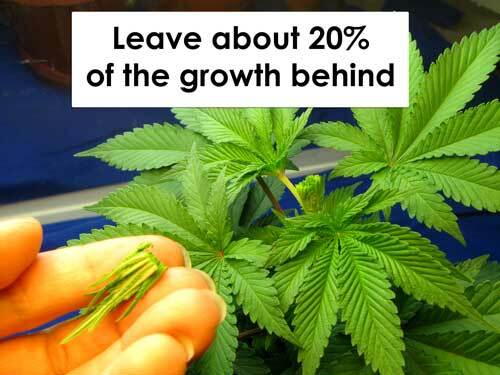 After initially bending your plant, growth will be slowed for few days as the plant recovers. In addition, one of the natural reactions to being extremely bent over is the marijuana plant will stop trying to grow upward as much. As a result, all the lower branches will start getting more bushy. Bending, supercropping, and other low-stress training are great ways to maximize your marijuana yields whne you have a small amount of vertical room. Yet the marijuana plant wants to grow in the shape of a Christmas tree, which is a terribly inefficient shape to take advantage of your grow lights. How can you train your marijuana plants to grow exactly how you want, so you maximize your yields? 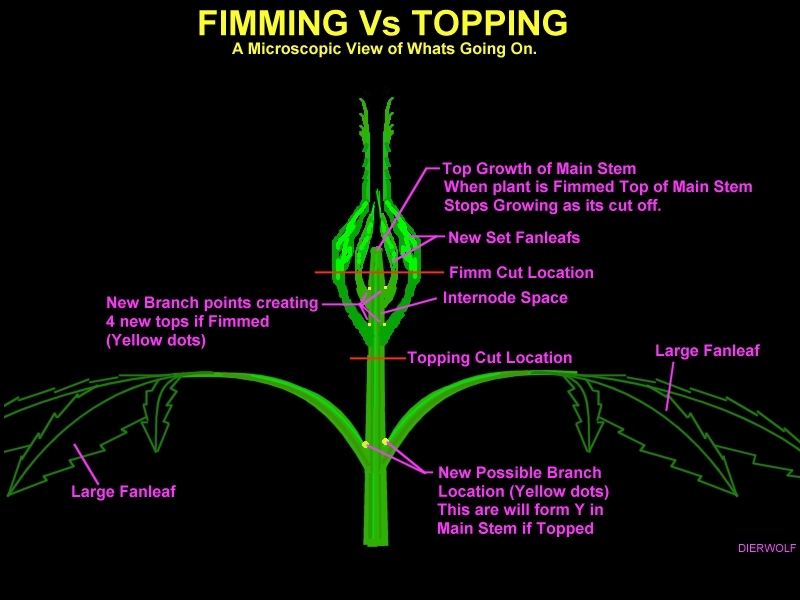 One of the best things you can do is “top” or “FIM” a young marijuana plant when she still has only 3-5 nodes in total. This technique involves cutting the plant in a way that causes a dramatic change in how your plant grows from then on. 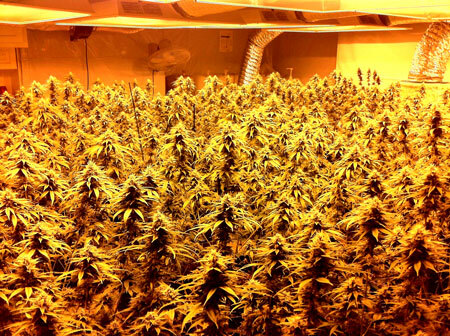 Most indoor growers prefer how marijuana plants grow after they’ve been FIMed or topped. 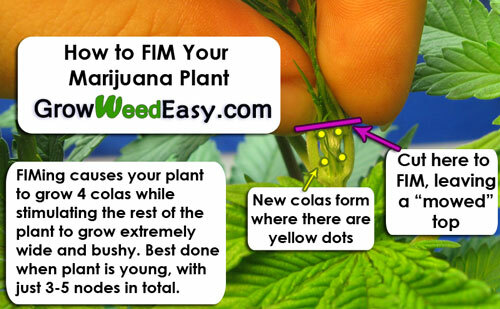 Immediately after being topped or FIMed, the plant will start growing multiple colas instead of just one main cola. 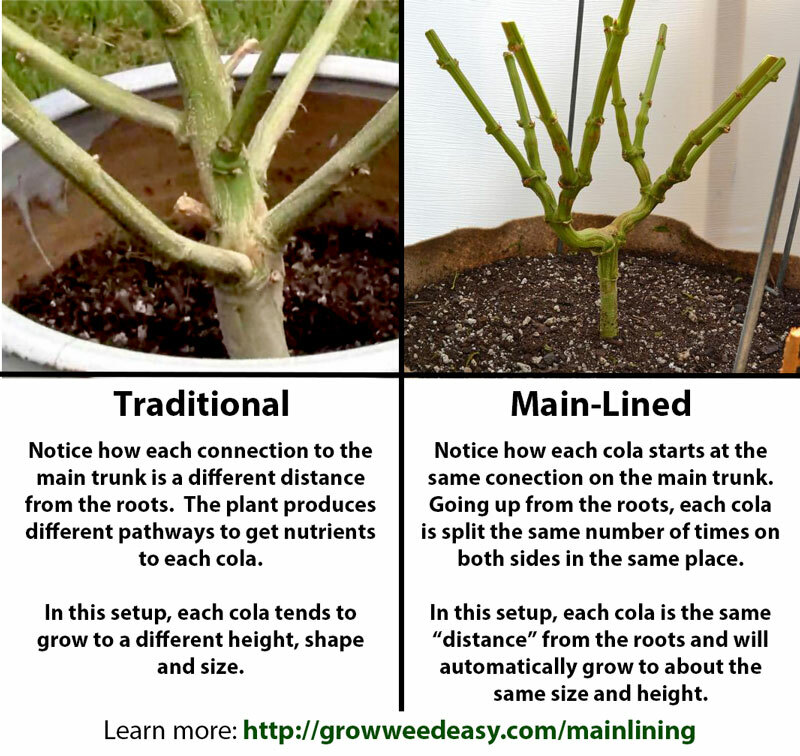 Experienced growers will take these multiple colas and spread them out, then tie them down to form a flat horizontal “table.” As you’ll see, even more colas will form along the length of any cola that is forced horizontal, so you can quickly end up with one plant that has 20+ colas. This is all possible thanks to topping and FIMing. Best of all, after a FIM or Top, your marijuana plant will become more accepting to all further training methods and grow more generally wide and bushy overall. Growers take advantage of this natural reaction in order to produce plants in the exact shape they want. 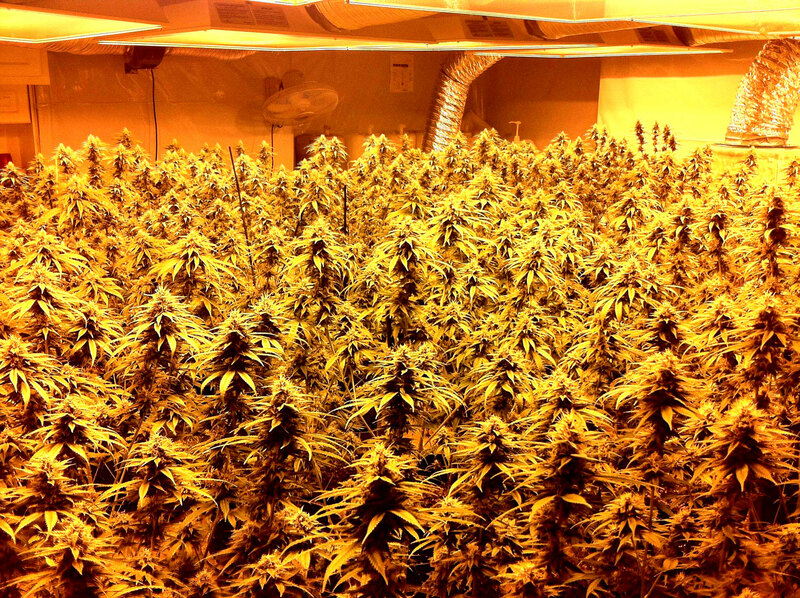 When you see marijuana plants that grow with many colas that are all at a similar height, the grower has almost always used Topping or FIMing as part of their training process, since marijuana plants do not grow this way naturally. 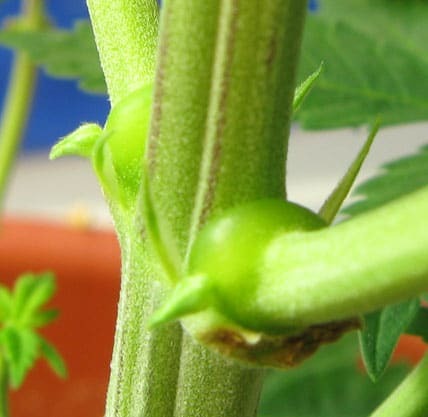 So of the techniques that involve actually cutting your marijuana plant, you have the choice to either ‘top’ the plant or to ‘FIM’ the plant. 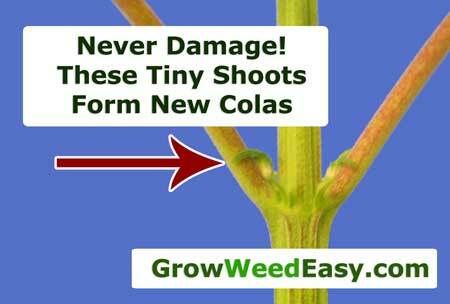 In both cases, you remove some of the growth on the end of the main cola, which causes the plant to stop focusing on one cola (like a Christmas tree) and instead to create many bud-laden colas (grow more bushy). If you choose to use either of these methods, you want to do it when the plant is young, usually when it has around 3-5 total nodes formed. Your plant will need some time spent recovering in the vegetative stage after topping / FIMing, though generally this just causes the plant to ‘fill out’ more instead of growing taller, which is desirable. 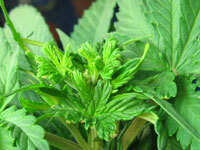 Don’t FIM or Top During the Flowering Stage, it’s already too late! You do not want to use any cutting method on your plant if it is in flowering, especially never do it deep into flowering. This is a building block technique to grow a plant with the structure you want, and doesn’t work as a cure for bad preparation. 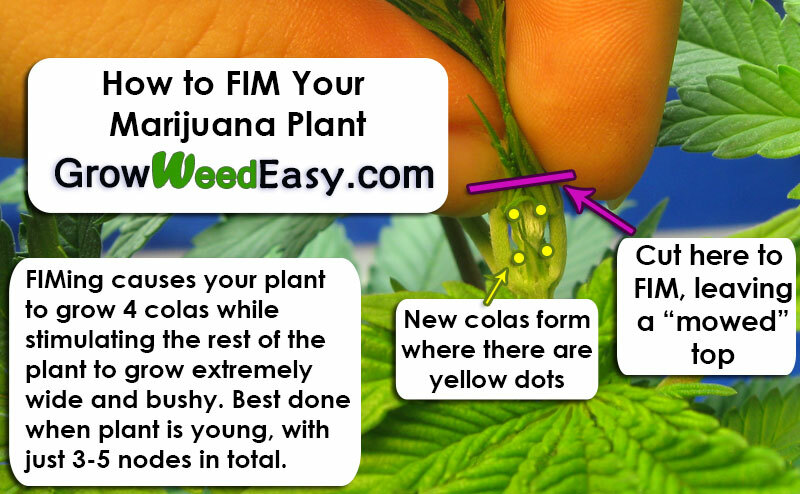 Trying these methods during the flowering stage will stress the marijuana plant when it should be focusing on making buds, and misses the whole idea of topping or FIMing (to control how the plant grows so that you get even light coverage). By the time your plants are in the flowering stage, much of the growth structure has already been created. 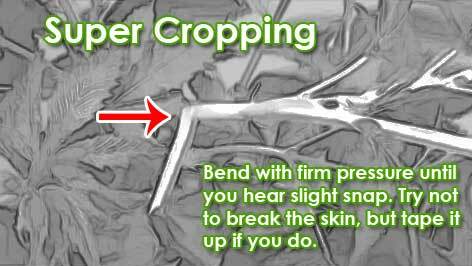 If your plant is already too tall, my suggestion to try using a combination of bending your plant, supercropping, and defoliation to control its height. 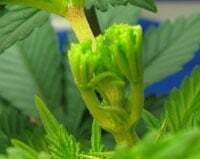 If you’re still in the vegetative (non-budding) stage, try to change it to flowering as soon as possible by changing the lights to 12-12. 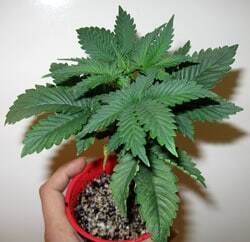 It’s best to top a plant when it is very young, and only has 3-5 nodes (sets of leaves) in total. “Topping” the plant means cutting off the newest node on your marijuana plant’s main cola, directly above the leaves of the second node. In other words, cut through the stem right above it’s second set of leaves from the top. This will cause your plant to transfer its energy to two new main colas, as indicated by the two yellow dots in the diagram above. These 2 new colas for a V which can easily be bent to spread wide. You can top these two new colas a few weeks later and have 4 total colas. The other huge benefit to topping is how the plant tends to grow bushier afterwards, spreading its energy much more evenly around to the whole plant. 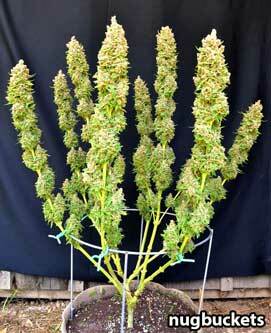 Often lower branches rise up to become very much like colas. The remaining nodes will all show signs of being strengthened, as pictured to the right. As a result of topping your plants early, you never end up with a plant that grows in the shape of a “Christmas Tree,” a growth structure that most indoor growers hate because it’s so tough to get good light coverage on a plant like that with indoor grow lights. FIM stands for “F*ck I Missed” referring to the fact that it’s like topping your plant, only you’re taking off about 20% less, leaving a “mowed top” as pictured here. This is also often referred to as “pinching” the top of the plant. To FIM the plant, you simply pinch off the newest growth, or cut just the tips of the newest growth off, making sure to leave a bit behind. This can be less traumatic to the plant than topping (since you’re removing less) and will usually cause your plant to grow 3-4 main nodes. FIMing causes the plant to grow very bushy, and the other nodes will becomes strengthened just like when topping.